This article originally appeared in April 21 edition of The Georgia Straight. 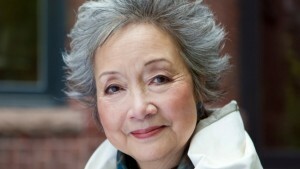 Adrienne Clarkson’s life work has been to cultivate greater understanding and forge connections between the people of Canada. She first came to public attention doing this in the 1960s as a CBC broadcaster with Take Thirty before becoming even more famous in the 1970s and 1980s as an investigative journalist with the fifth estate. Later as a diplomat working for the Ontario government, Clarkson promoted Canadian culture abroad. After that, she was president and CEO of one of the country’s leading book publishers, bringing Canadian stories to Canadians. This career path culminated in Clarkson, a former refugee, becoming Canada’s 26th governor general. In this role, she devoted enormous attention to educating the public about Canada’s indigenous peoples. Since leaving office, Clarkson cofounded the Institute for Canadian Citizenship, which held the first citizenship ceremony on a reserve at Musqueam. She’s also delivered the Massey Lectures, promoted women’s hockey, and written books about the Canadian immigrant experience, citizenship, and an influential Canadian physician in China, Dr. Norman Bethune. It’s a remarkable record and in this tradition, Clarkson will soon be in Vancouver for the latest iteration on her lifelong journey. Last year, she cofounded Six Degrees Citizen Space with her long-time partner—author and philosopher John Ralston Saul—and Institute for Canadian Citizenship CEO Charles Foran. In this spirit, Clarkson and Saul will moderate the daylong 6 Degrees Vancouver on Monday (April 24) at the Fei & Milton Wong Experimental Theatre in SFU’s Goldcorp Centre for the Arts. The event feature thinkers from a wide variety of backgrounds on a slightly raised, fuchsia and electric blue round stage, surrounded by an audience in conversation about citizenship and inclusion. Clarkson told the Straight by phone that none of the speakers will give prepared speeches; they’re simply instructed to arrive at 6 Degrees Vancouver with a point of view. It’s designed to heighten interaction with everyone else in the room. Participating on-stage will be Gitxsan journalist Angela Sterritt; writer and performer Ivan E. Coyote; Canadian Roots Exchange co-executive director Max FineDay; refugee resettlement counsellor Mohammed Alsaleh; writer and researcher Rima Berns-McGown; Innoweave manager Natalie Chapdelaine; Afghan-Canadian journalist, actor and human rights activist Nelofer Pazira; and Indian Summer Arts Society artistic director and author Sirish Rao. Foran and Jocelyn MacDougall of the band Queer as Funk will roam around with microphones interviewing members of the audience. Clarkson says this differs from the “mechanical” approach of having people line up at a microphone to deliver short speeches. “It really flows very nicely,” she said. She’ll moderate the first 90-minute session, entitled “Feeling at Home”. This will explore how people in Vancouver embrace and respect different understandings of space and territory, as well culture and residents’ ties to other places. Following a break, there will be open exchanges for an hour and 15 minutes. After lunch, Saul will moderate a session entitled “Being at Home”. It will look at whether Canada is truly a sanctuary of equality. This too will be followed by an open forum. Earlier this month, a 6 Degrees event was held in The Hague and there will be another one in Toronto in September.